technical skills along with familiarity with guidelines. 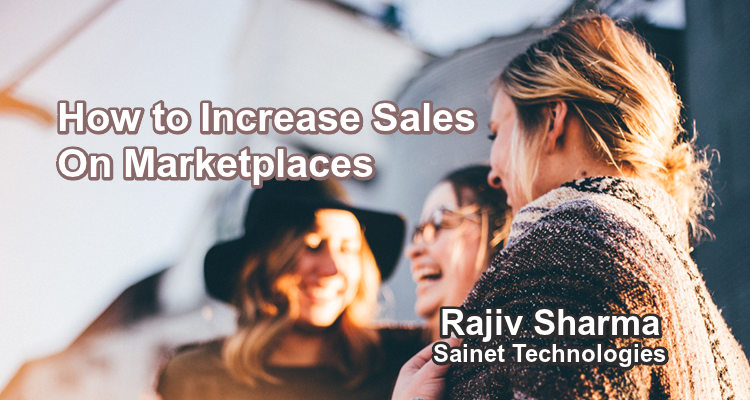 Now it’s not an easy task to sell on Amazon rather one should have in depth knowledge of selling online, technical skills along with familiarity with guidelines..
We at Sainet Technologies offer comprehensive Amazon Product Listing solution to our clients in order to increase their sales online. We have helped the different seller to sell online in variegated categories including Apparel & Accessories, Ethnic Wear, Electronics, Health Care, Home Furnishing, Sports, Clothing, Footwear and more. A Amazon seller should have GSTIN Number. GSTIN stands for Goods and Services Taxpayer Identification Number which is 15 digits long. It is a state wise PAN based number. If a seller is trading individually then he/she requires Personal PAN for business type “Proprietorship” and Personal + Business PAN for business type is the seller is trading as a “Company”. For Sole Proprietorship a seller requires a Current Type personal bank account and for a company, the seller requires Bank Account in the name of the company. Supporting document such as Cancelled Cheque, Sign, KYC Documents are also required by the company. Product Listing and Updating – Sainet Technologies has dedicated a team of Developers and Designers who can list all your products within no time. After the registration process,our specialists will list your products in appropriate category or subcategories with important attributes including SKU IDS, Product IDS, Features, Keywords, Variation etc. If you have variation (colour, size, style, count) in your products then we have expertise in showing a variation of products on Amazon and another marketplace. We will also list your products on Amazon USA, Amazon UK. GTIN Exemption – Sainet also offers GTIN Exemption service to the seller who does not have TradeMark certificate with them. We will list your products under GTIN Exemption through which you can sell your products on Amazon easily. If you have TradeMark Certificate then we will do the brand registry for your products. Catalogue Optimization – Amazon has several sellers for similar products. Thus it is one of the most competitive marketplaces for seller perspective. Catalogue Optimization increases the visibility of your products on Amazon. We will optimize your product Title, Description, Keyword, Image so that your products rank in the first few pages of Amazon search. Inventory Management – Our team will manage your account health, return, inventory, order processing, important update, pricing, sales, promotion while you are sitting at home. Amazon Advertisement & Campaigning – In order to increase your online sales, we will run Sponsored ads for your products and helps you to get maximum ROI. Image Editing Services: Cropping, Resizing and Uploading Product Images – We also offer Photo Editing service to our clients i.e. Which Background of Image, Cropping Resizing and Uploading products images according to the marketplace guidelines. Facebook and Google Ads – There are only a few companies in India that offer Facebook and Google Ad services to the Amazon Sellers. Currently, Facebook and Google are the best platforms for online advertisement. We have ads expert who will run your products ads on Facebook and Google to increase your sale. Adding Positive Product Reviews – Feedback from buyers plays an important role in seller metrics. We will add positive products reviews to improve your account health. Facebook & Google Ads Experts – Social Media Marketing Professionals will promote your products around the globe. 10 Hours Customer Support via Email, Photo and WhatsApp. If you are looking for a trusted and experienced Marketplace Listing Service Providers including Flipkart Product Listing & Advertising, Amazon Product Listing & Advertising similarly PayTM, Myntra, Snapdeal, Ebay, Shopcloues etc. You can outsource your work to Sainet Technologies. If you want to know online business scope / online product selling. Call us at +91 9891446988 or fill up the below form and we will guide you the best solution.